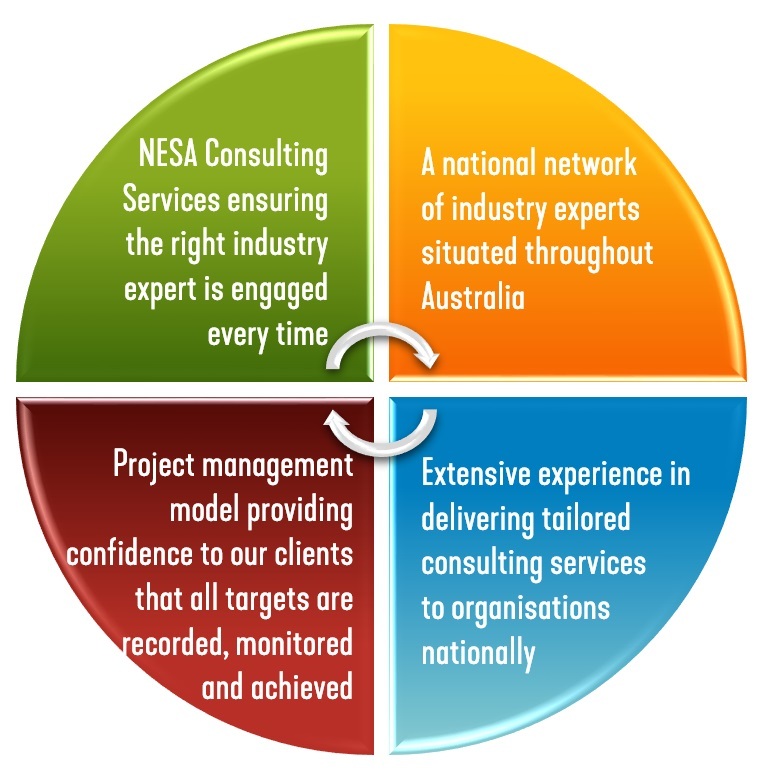 NESA Consulting Services recognises that every business is unique in its delivery of services. Our extensive knowledge of the operational and policy framework across the employment, disability and community services sector enables us to provide highly specialised, target-driven and cutting-edge consulting services. We are able to tailor our consulting services to assist all organisations to respond and adjust to market change. network of over 100 industry experts who are committed to working with organisations to optimise their performance and financial position. NESA Consulting Services provides a cost-efficient solution for organisations committed to excellence in both quality and practice. We have a strong track record in supporting organisations nationwide to reach their personal strategic and business goals. The balance of strategic directions and operational priorities is a complex issue faced by many business leaders today. NESA Consulting Services provides a flexible and innovative solution for business leaders committed to taking their organisation forward. Our approach is to ensure that we don’t accept a one-size-fits-all approach, but instead that each enquiry is met with a tailored and dynamic solution. We work with organisations to identify key drivers in building sustainable organisations.